Are you a fan of the outdoors, or of camo in general? Metroplex Wraps has a wide range of camo wraps options to help you find the ideal camo design for you! 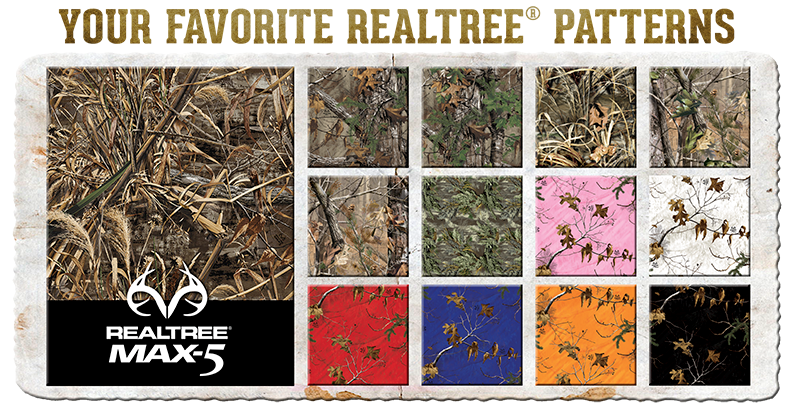 We are a “Real Tree” and “Mossy Oak” dealer which allows you to choose from a wide selection in their pattern options. Or our professional design team can help you find the right combination of pattern and color to suit your particular needs and taste. We can also wrap ATVs, golf carts, boats, trailers, and even RVs! Our experienced, professional design team can help you find the ideal camo pattern for your needs, or build one from scratch to bring your vision to life! Our HD printers ensure the best quality images possible, and we will work with you throughout every step of the process to ensure you’re totally satisfied with the end results. Whether you’re a hunter, fisherman, outdoor enthusiast, archer, or just a fan of the country who lives in the city, we can help you find the personal camo wrap that suits you best! Give Metroplex Wraps a call today at 817-997-4431. Even if you have an idea in mind that isn’t traditional, we can help create it from scratch. Don’t hesitate to put our custom design team to work finding the perfect camouflage wrap for you! Our experienced, professional design team can help you select the ideal camo pattern for your needs, or build one from scratch to bring your vision to life! Our HD printers ensure the best quality images possible, and we will work with you throughout every step of the process to ensure you’re totally satisfied with the end results. We are skilled in wrapping a variety of outdoors vehicles, helping to provide an additional layer of protection harmful UV rays, dirt, and small debris, all while helping you to blend in seamlessly! Our results are impressive, no matter the contours of your vehicle’s surface. Whether it’s an ATV, boat, car, or truck, we can install a camo vehicle wrap to professional standards. Updated on September 19, 2018 at 8:16 pm by Metroplex Wraps.